Find the forms and information you need to claim single and group prizes. Important! Please read the following information before taking steps to claim your prize. No Assignment of Prize Winnings. Prize winnings cannot be assigned, transferred, lent, sold or otherwise directed to third parties by prize winners. For greater specificity, all prize winnings will be paid directly to the prize winner (as determined by OLG). Your original signed winning ticket needs to have all required information filled out on the front and back of the ticket. Check your ticket yourself to see if you’ve won. 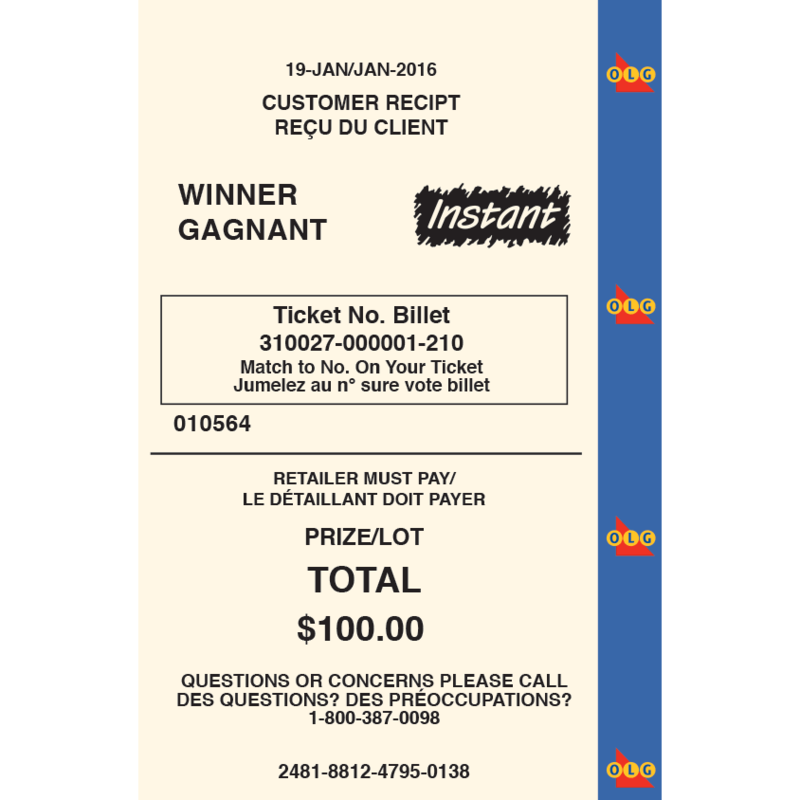 Have your Customer Receipt with you (if the ticket was already validated by another OLG retailer). You will see a winning message on the Customer Display Screen and hear a winning message play from the lottery terminal. For LOTTO tickets, your winning prize amount will be printed (or ‘branded’) on the front, left-hand side of your original ticket. If the retailer can pay your prize, he or she will tear through the bar code of your paid-out ticket, and return the validated ticket to you along with the corresponding Customer Receipt. If a retailer is unable to validate your ticket because it is damaged you must mail it to the Prize Centre to determine if the ticket has won a prize. Every time a retailer checks a LOTTO ticket on a lottery terminal, a customer receipt is printed. The boxed ticket number on the customer receipt will match the ticket number on your LOTTO ticket. A winning ticket will show the prize amount. 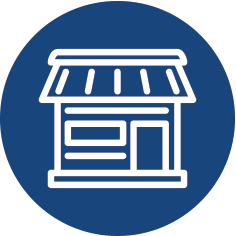 Your retailer will pay your prize amount in cash. Every retailer can pay up to (and including) $50. Retailers have the option to pay up to $999.90 (as long as they have the cash available). 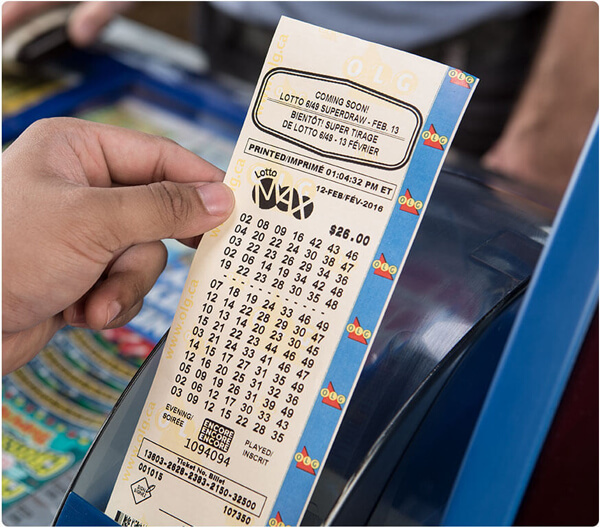 If you still have draws remaining on your winning LOTTO ticket, you will be provided with an Exchange Ticket from the lottery terminal. This will be your ticket for the remaining draws. OLG&apos;s goal is to ensure that the right prize is paid to the right person(s) every time. There are times when ownership of a lottery prize is disputed by the claimants and other parties. When an ownership dispute occurs, options are available, as follows. The parties involved may settle the matter privately, or by proceeding in the Ontario courts, or resolved through arbitration by an arbitrator appointed by the Chair of the Board of the Alcohol and Gaming Commission of Ontario (AGCO). All parties to a prize dispute must agree to the process for arbitration to proceed. For more information on the AGCO arbitration process visit the AGCO website. Any party to a prize dispute is advised to obtain independent legal advice.